pinkpapercrowns: Miss Kate Cuttables + Scrappy Mom's Stamps = Awesome Blog Hop!!! 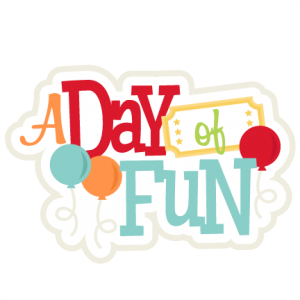 Miss Kate Cuttables + Scrappy Mom's Stamps = Awesome Blog Hop!!! Helloooooo!! So excited to bring you my project for the Miss Kate + Scrappy Mom's Stamps Blog hop!! DON'T forget to check the BLOG for today's FREEBIE!!! 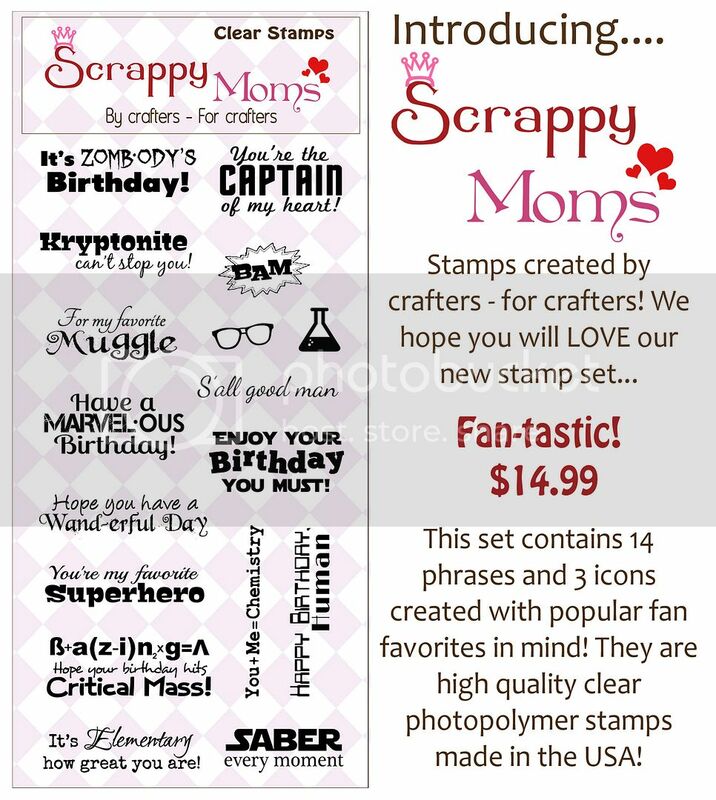 I just fell in LOVE with this set from Scrappy Mom's Stamps called "Fan-tastic!" If you are a SUPER nerd like me (or you KNOW a lot of nerds!) this is the perfect set to add to your collections of sentiments! There are SO many cute files that can be used with this set. Superheros, witches, zombies, chemistry sets...these would all work with this set. BUT, my idea was to use this CUTE "Out of This World" set! As you know, I strive to keep my projects cute, but to also give them a LITTLE bit of sophistication by using patterns and layout ideas that show the versatility of MKC files. I'm SOOOO pleased with how this card came out. I had a DCWV Stack from a year or so ago that featured lots of cosmos, stars, and planetary motifs. I was FLOORED when I saw how amazing the moon print looked when I cut used it for the moon SVG. The little alien and the spaceship are cut from some Basic Grey textured solids from various 6x6 pads. the designers' blog every day, and follow them too! for you from Miss Kate Cuttables and Scrappy Moms! project is from today's Designers. And don't forget to come back tomorrow! files used during the co-hop! PLEASE visit MKC blog today and see all the wonderful projects the team members have made for you today!! Love the pops of colours with the solace ship and alien! Super cute! such a great porject! This is fabulous! i love the little alien guy! This is really cute, love the cosmos motif. I love this. Great star paper and I love that fantastic moon. Like tehe wiggle eyes on the creature. 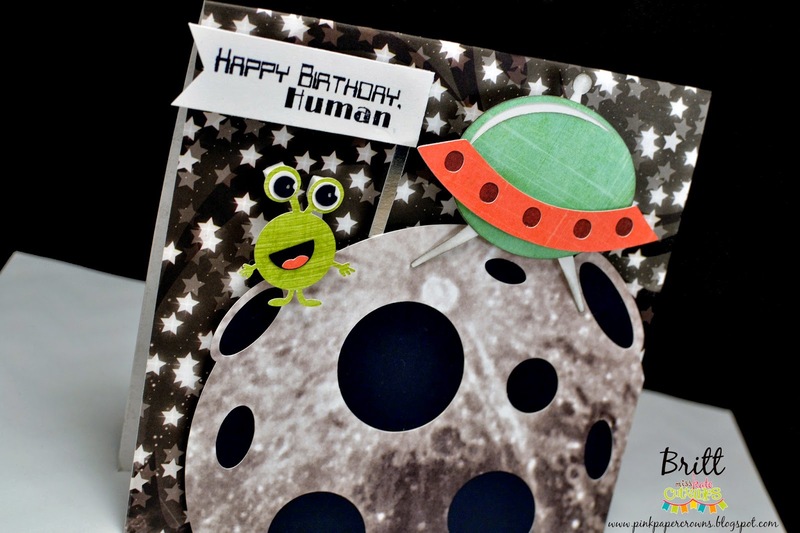 Perfect font for the card and what a cute alien. Thanks for sharing. Your card is so cute gosh you really created a card that any kid big or small will love. You are super creative and so talented. Cute card and sentiment. Like the realistic background. Your card is so great!!!! I agree, the moon looks absolutely amazing!!! I had a hard time trying to figure out whether it was part of the paper collection or a die cut! You did a great job!!! Thanks for sharing! 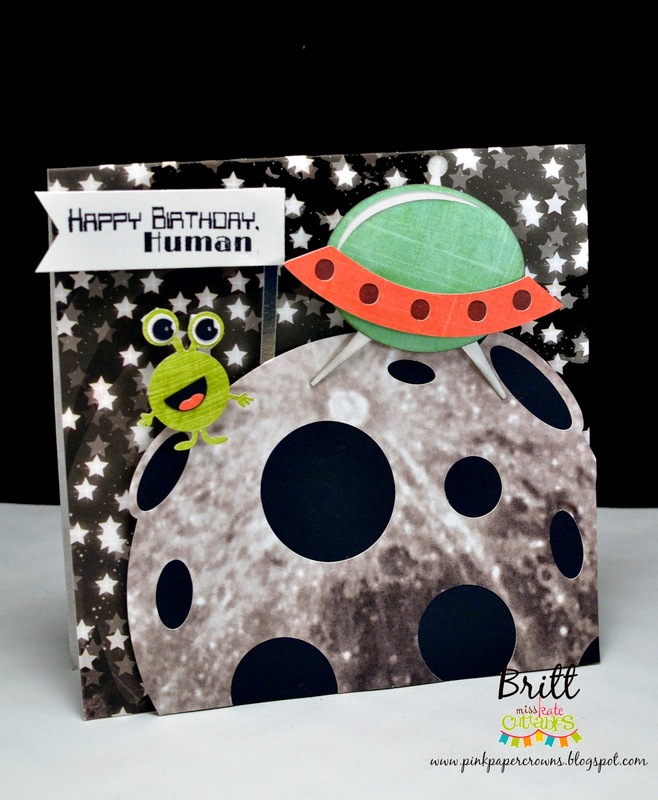 Love the space themed card you made. And the sentiment is goes great with it. DCWV + May Arts Ribbon + Tombow Week!